In conventional theatres of armed conflict, the primary function of RPAs is the provision of intelligence, surveillance, targeting and reconnaissance (ISTR). Since 1999 RPA's have been used in a direct combat role for “target acquisition”, using laser markers to designate a target which is then attacked by precision-guided missiles discharged from conventional fixed-wing or rotary-blade aircraft. In February 2001 a missile was remotely test-fired for the first time from a Predator RPA. The tactical military advantage of arming RPAs, rather than using them simply for the purposes of ISTR is said to be speed of response from the moment of sighting a target to the swift delivery of deadly force by precision-guided missile. The most common forms of weaponised RPA are the so-called MALE (Medium Altitude Long Endurance) platforms. These include the Heron and Hermes systems developed by the Malat (UAV) division of Israel Aerospace Industries and used by the Israeli military; and the Predator and Reaper systems developed by General Atomics Aeronautical Systems Inc. and used by the United States (US) and, in the case of the Reaper, the United Kingdom (UK). These can be armed with a range of precision-guided munitions. The UK's Reaper fleet, for example, currently employs two types of munition, the GBU-12 laser guided bomb, and the Hellfire AGM114 precision-guided missile. The Reaper has a range of 5,900 km, a maximum air speed of 250 knots, and a maximum unloaded flying altitude of 50,000 feet; an armed Reaper will typically fly at approximately 11,000 to 25,000 feet. 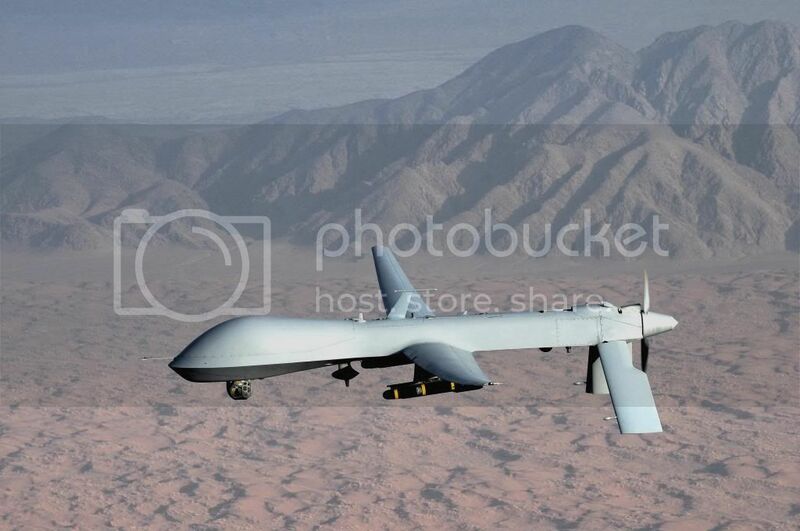 The Reaper can fly for an average of 16-18 hours and “hand over” surveillance to another RPA. It has a full motion video sensor ball that includes three cameras, a synthetic aperture radar, and laser technology for the purpose of target designation. A detailed video and computerised record of all sorties is maintained, providing a solid audit trail of operations. There are three networks for communication: a secure internet-based chat function; a secure radio routed via satellite, and a secure phone system. 1 See Michael N. Schmitt, Precision Attack and International Humanitarian Law, 87 Int’l Rev. Red Cross 445 (Sept. 2005). 2 ICRC, The Use of Armed Drones Must Comply With Laws, 10 May 2013. In his interim report to the General Assembly the Special Rapporteur made specific recommendations aimed at strengthening compliance with the applicable legal standards on accountability and transparency1. Having regard to the duty of States to protect civilians in armed conflict, the Special Rapporteur concluded that in any case in which there have been, or appear to have been, civilian casualties that were not anticipated when the attack was planned, the State responsible is under an obligation to conduct a prompt, independent and impartial fact-finding inquiry and to provide a detailed public explanation of the results2. This obligation would be triggered whenever there is a plausible indication from any apparently reliable source that unintended civilian casualties may have been sustained, including where the facts are unclear or the information is partial or circumstantial (whether the attack was initiated by remotely piloted aircraft or other means, and whether it occurred within or outside an area of active hostilities)3. In a modest extension of the approach adopted in the Turkel Commission Report4, the Special Rapporteur concluded that the international human rights law principle of transparency applies not only to those cases in which a full criminal investigation is launched, but also to preliminary fact-finding inquiries. Subject to redactions on grounds of legitimate national security, he recommended that a full explanation should be made public in each case, and that this obligation ought to be viewed as an inherent part of a State's legal duties of accountability under international humanitarian law and international human rights law5. The Special Rapporteur has adopted and applied this standard to a sample selection of individual strikes in which remotely piloted aircraft are alleged to have been implicated in the infliction of civilian casualties. Having considered the available sources the Special Rapporteur has identified 30 strikes (out of a total of 37 strikes initially brought to his attention) in which there is a plausible indication that civilians were killed or sustained life-threatening injuries, or in which civilian lives were put at immediate risk. With the assistance of a team of researchers he has sifted the available evidence to determine whether there is a plausible and credible allegation of civilian casualties, from apparently reliable sources, so as to trigger the duties of investigation and transparency. The list below is intended to be illustrative rather than exhaustive. The criteria adopted for including a strike in the list are (a) that there is an allegation emanating from an apparently reliable source, or from multiple independent sources, that civilians have been killed, seriously injured or had their lives put at immediate risk in an operation in which remotely piloted aircraft are alleged to have been involved; (b) that in the absence of any official public explanation from the State(s) responsible, the number and/or proportion of civilians harmed arguably raises a reasonable suspicion that the action taken may have been unlawful; and (c) that there is sufficient information to identify the location, the date and approximate time of the incident. In those cases where it has not been possible to identity the victim(s) and inquire into their backgrounds, the Special Rapporteur has required other credible indications that the victims were, or included, civilians. It is important to emphasise that the mere existence of credible allegations that civilians were killed or injured in these incidents does not necessarily establish any violation of international humanitarian law or international human rights law. Still less does it provide clear evidence of the commission of a war crime. Indeed, most of the relevant evidence which could confirm or dispel such a suspicion remains in the exclusive possession of the alleged perpetrator States. However, in each of the cases identified, the Special Rapporteur has evaluated the available sources, looking for indicia of reliability, and has judged the information and evidence he has seen to be sufficient to cross the threshold identified in his interim report as imposing a duty on the relevant States to provide a public explanation of the circumstances and the justification for the use of deadly force. In the opinion of the Special Rapporteur the States responsible are under a present and continuing obligation to make public, in as much detail as possible, and subject only to such redactions as are strictly necessary to meet legitimate national security concerns, the results of any fact-finding investigations that have been conducted into the incidents identified in this section of the report. If no fact-finding investigation has so far taken place, the Special Rapporteur considers that the States concerned are under an obligation to indicate this publicly, and provide an explanation. By way of illustration, the Special Rapporteur draws attention to the one instance in which the United States has previously made public significant parts of an investigation report into a strike in which civilian casualties were sustained in Afghanistan. On 21 February 2010 precision-guided munitions were discharged from a US military helicopter aimed at three pick-up trucks travelling near Khotal Chowzar, a mountain pass that connects Daikundi with Oruzgan. The attack occurred 12 km from the village of Khod in the Shahidi Hassas district. Remotely piloted aircraft under the control of the United States were involved in assessing and determining the target of the operation. Up to 23 civilians were reportedly killed and 12 civilians were injured. The victims included eight men, one woman and three children under the age of 14. The findings of an investigation conducted by ISAF were partially declassified. The report concluded that the Predator crew involved had provided misleading situational information, that there was evidence of inaccurate and unprofessional reporting, and a propensity to “kinetic activity” (the discharge of precision-guided munitions). It recommended administrative and disciplinary sanctions6. The publication of the investigation report is a model of accountability and transparency and sets a benchmark to be followed in other cases. In the opinion of the Special Rapporteur the States implicated in the incidents below are under a duty to release the substance of all investigation reports in a level of detail comparable to that adopted in the specific case identified. The Special Rapporteur therefore calls on relevant States to respond to the allegations set out below. He has written separately to them inviting their comments. Any responses that are received will, subject to the consent of the State concerned, be posted on the official web page of the mandate. 1A/68/389 at paras. 41 to 50, 78 and 80. 3A/68/389 at paras. 41 to 50, 78 and 80. Similarly, the European Parliament resolution on the use of armed drones, 25 February 2014, states “whereas in the event of allegations of civilian deaths as a result of drone strikes, States are under the obligation to conduct prompt, independent investigations and, if the allegations are proved correct, to proceed to public attribution of responsibility, punishment of those responsible and provision of access to redress, including payment of compensation to the families of victims”, see European Parliament Resolution on the use of armed drones, 2014/2567, RSP, 25 February 2014, RC\1021121EN.doc. 6Memorandum for Commander, United States Forces — Afghanistan, 13 April 2010, executive summary for AR-15-6 investigation, 21 February 2010, air-to-ground engagement in the vicinity of Shahidi Hassas, Oruzgan.